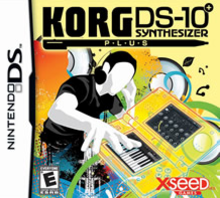 Note: Copy any of the above Korg DS-10 Plus (USA) rom download links and paste it into your browser to download. the rom loads in my ds r4 but not showing the app.. File on rapidshare has been removed, and on megaupload, there's only a ~832 KB sized zip, which contains only fragments of the rom, and can't load it.